Howard Pyle: American Master Rediscovered is the first comprehensive, exhibition on the influential artist who is often referred to as the grandfather of American illustration. 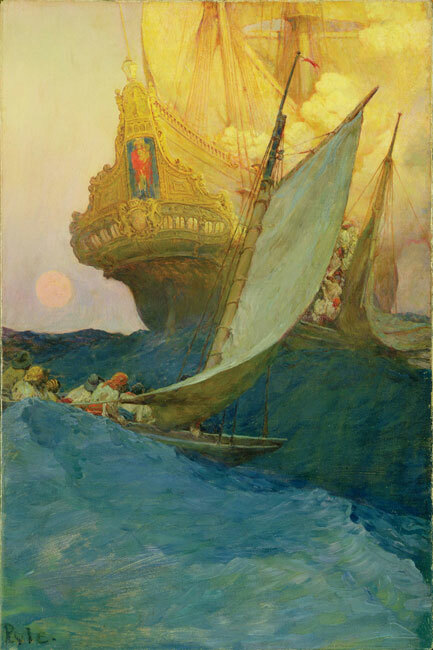 Organized by the Delaware Museum of Art, this exhibition features an outstanding selection of Howard Pyle’s best known and rarely seen paintings, drawings, prints, and archival materials that shed light on the artist’s career as a painter and a consummate storyteller. Admired by Norman Rockwell and his contemporaries, Pyle encouraged students like N.C. Wyeth, Jessie Willcox Smith, and Frank Schoonover to understand their subjects by living them. The artist’s powerful paintings of pirates and historical and literary themes continue to spark the imagination, as reflected in the works on view.